While most lawyers don't think of themselves as artists in the traditional sense, the long history of persuasive, and not so persuasive, cease and desist letters that have made it to the internet beg to differ. There is certainly an art to drafting a cease and desist, and not just one of those epically funny ones that we all relish reading about. After all, it's a functional letter meant to accomplish a goal. Beyond just laying out compelling facts, the "or else" part of any demand needs to have teeth. As a recent ABA Journal magazine piece describes, being persuasive and credible can be accomplished rather creatively these days. The Budweiser "Dilly Dilly" cease and desist might go down in history as the most renn-faire-esque C&D ever. If you haven't heard about this one from December 2017, it's pretty comical, even for Budweiser. Apparently, Budweiser had started a new ad campaign around the phrase "Dilly Dilly." A commercial spot features a medieval royal court toasting using the phrase. However, when Budweiser got word of a small brewer launching a beer named "Dilly Dilly" Mosaic Double IPA it sent a live messenger dressed in full medieval style and flare, to read the company's creative cease and desist explaining that 'Dilly Dilly' is the motto of our realm." The message included a rather old looking scroll, threats of further scrolls (a.k.a. legal action), as well as congratulations on the successful launch and a couple seats to the upcoming Super Bowl. Given the fact that the internet and social media exist, when a cease and desist gets sent, there's potential for negative publicity regardless of what's actually right, legal, or even logical. And while attorneys are generally aware of these types of consequences and risks, whether the negative PR will be severe enough to be influential, or impact the bottom line, is almost always more difficult to assess. As such, getting creative and staying on the more amicable side of conflict resolution could very well be a more viable, or perhaps better, option these days. 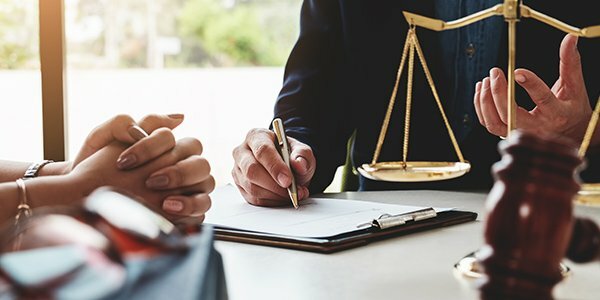 While your client may not want to throw in a couple Super Bowl tickets like Budweiser did, sending a fun cease and desist with the most livable solution possible, plus an incentive, could be an economical way to resolve a potential PR nightmare related to enforcing a client's rights.